The Board of Directors invites all members to attend the upcoming AGM. All members who attend will be entered into a draw to win $100 discount on registration for 2017. 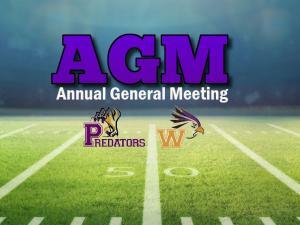 Waterloo Region Minor Football to change all team names to Predators.